Help Heal and Protect your Pet ? for life! 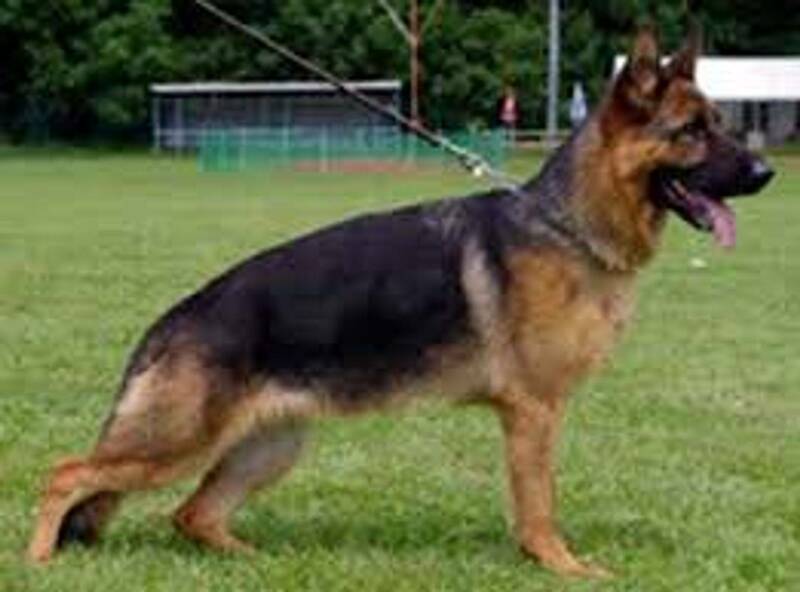 "I had Heidi on NuVet supplements since she was a puppy. I honestly believe it is why her coat is so beautiful and is one of the reasons she has remained so healthy. Now all of my dogs are taking NuVet supplements for healthier litters and will continue taking these supplements for the rest of their lives. I highly recommend NuVet! I believe so much in this product that it is now a requirement for all new puppies purchased from Celtic Shepherds to be given NuVet for the first 2 years of life!" -Sean Ryan, owner/breeder. We love animals and we know you love them too! Unfortunately, the majority of dogs and cats are not receiving a complete, healthy diet and many become ill and die prematurely. NuVet Labs main purpose is to help increase your pet's longevity and quality of life. 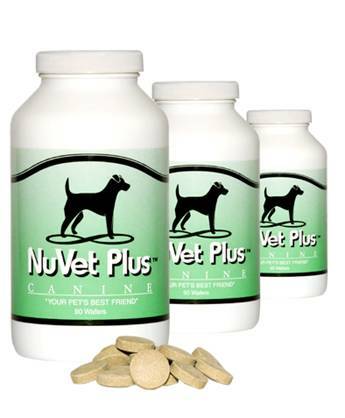 Our products, NuVet Plus for Canines and NuVet Plus for Felines, provide the very best human-grade, natural ingredients available and utilize the latest advances in medical, veterinary and nutritional science. We pledge to adhere to the highest standards in products and services. Our goal is to maintain a lasting and caring relationship with our family of NuVet Plus customers and their pets they love. Our scientists, veterinarians and formulators began with the premise that most pet diets lacking in the proper amounts of vitamins, minerals and antioxidants. There are important nutrients that animals once received when they were living in a more primitive environment that are not available in the modern diet. Commercial pet foods contain numerous by-products that can make them poisonous, toxic and incapable of reducing the devastating effects of unstable oxygen molecules, also known as free radicals. Free radicals have been implicated in more than fifty health problems in humans and animals including various forms of cancer, heart disease, arthritis, cataracts and premature aging. After extensive testing with many different combinations of ingredients, our scientists formulated NuVet Plus. We believe, based on the most current medical, veterinarian and nutritional reports, NuVet Plus will combat the onslaught of free radicals in our companion pets. This unique formula consists of precise amounts of vitamins, minerals and high-potency antioxidants that when combined, create a synergistic and powerful boost to the immune system. NOTE: This product is Not available to the general public without an Order Code supplied by your Pet Professional. Not available in stores? CALL NOW TO ORDER! Insider's Secret: Thousands of the nation's top breeders use NuVet Plus® to keep their puppies, kittens, breeding females and males so healthy! GUARANTEED We use real chicken liver not cooked, but instead it's paddle dried by our patented process to preserve its Omega Fatty Acids. GUARANTEED not heat treated (heat destroys vitamins A, E & B1) it's why NuVet Plus wafers crumble easily. Our team of Veterinarians, Physicians, Pharmacists, and Nutritional Scientists took eight years to develop this revolutionary product. On the market for over 13 years, we're one of the oldest US pet supplement companies. MONEY BACK GUARANTEE: Call now to order this revolutionary product. If this isn't the most incredible pet supplement you've ever had, we'll give your money back! Helps Heal Current Problems and Protects the Life and Health of Your Pet, Starting Today! NuVet Lab's Goal is to Help Increase Your Pet's Longevity and Quality of Life. NuVet products help put pets on the right path to perfect health and support their development through every stage in life. Thousands of the nation's top veterinarians and other pet industry professionals use NuVet Plus® for their own pets and recommend it to their clients pets! NuVet Plus, A Taste Pets Love! Made with Real Chicken Liver. "I have a 5 year old Goldendoodle that I adore and will do whatever it takes to see that she lives as long as possible, I have not had to take my dog in for any ailment whatsoever since the day I got her at 8 weeks old. My vet is amazed at Easton's track record and thinks the proof of the effectiveness of the supplements is in the level of health she has maintained for 5 years straight."